Although the decision to join a team with the full backing and input of Honda seemed like a good idea at the time it simply never worked out - and it didn’t get better when Honda was dropped in favour of Renault. It meant that one of the sport’s greatest drivers spent the last four seasons of his career without a single win, pole position, or podium. 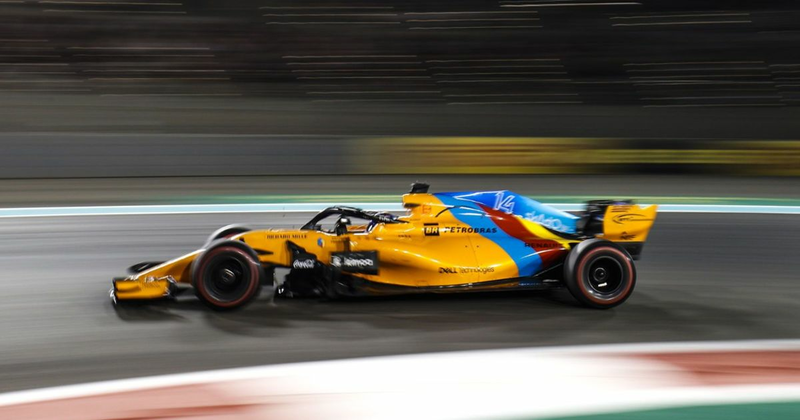 Taking just those three metrics into account, Alonso has the third-longest ‘barren period’ for any world champion - only Graham Hill and Jacques Villeneuve spent more consecutive seasons without either taking pole, winning a race, or scoring a podium. Jenson Button also had a four-season streak, but that was right at the beginning of his career. Even before he went back to McLaren, Alonso’s stats were already slightly unusual compared to other world champions given how much of his career was spent in cars ranging from ‘a bit off the pace’ to ‘hopelessly uncompetitive’. But those 78 success-free race entries for McLaren have made his numbers plummet even further. Let’s take a look at just how they’ve been affected. 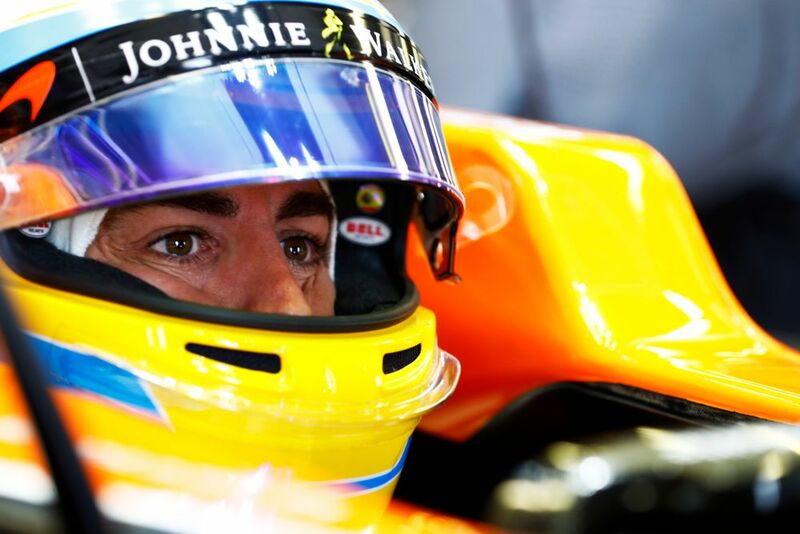 By the end of 2014, Fernando had 32 wins from 236 race entries, the last of which actually came at the 2013 Chinese GP. That gave him a win percentage of around 13.6 per cent, right in between Niki Lauda (14.6 per cent) and Mika Hakkinen (12.4 per cent). However, at the end of 2018, that figure dropped to just 10.3 per cent - lower than James Hunt (10.9 per cent) and lower than Nelson Piquet (11.3 per cent). Heck, it’s even lower than Nico Rosberg (11.2 per cent)! In fact, Alonso’s win percentage is only slightly higher than a bunch of drivers who won a handful of races but were never champion, such as Gilles Villeneuve, Carlos Reutemann and Ronnie Peterson - a remarkable fact given that Alonso currently sits sixth on the all-time win list. Alonso was never the greatest qualifier and his tally of 22 poles only puts him 13th on the all-time list, so percentage-wise he was never going to be that high up the list. At the end of 2014, the number was around 9.3 per cent, right in between Jack Brabham (10.6 per cent) and Mike Hawthorn (8.9 per cent). As well as being a lower number than most of the sport’s world champions it also puts him behind the likes of Peterson, Juan Pablo Montoya, and René Arnoux. He’s even behind two drivers - Stuart Lewis-Evans and Mike Parkes - who never won a race! 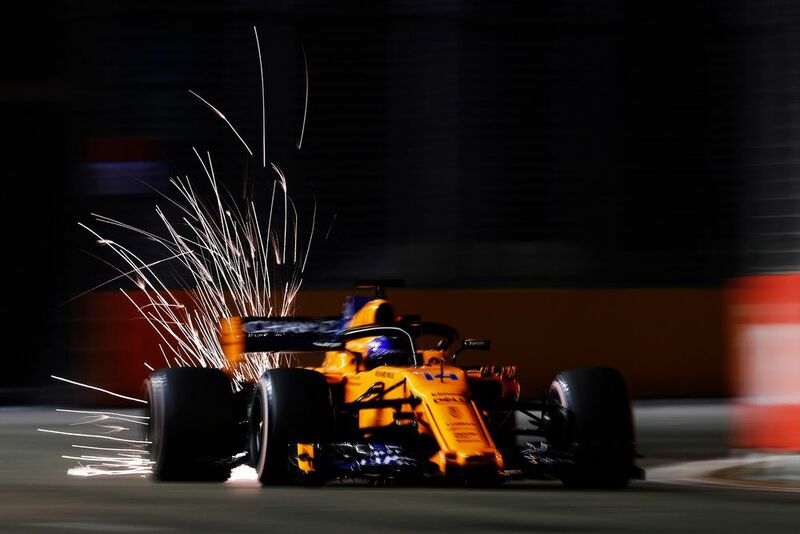 By the end of 2018, Alonso’s pole ratio had dropped to around 7.1 per cent. It’s only a few places lower in the grand scheme of things but it puts him in good company with some of the rivals he’s raced against over the years - Felipe Massa (6 per cent), Mark Webber (6.1 per cent) and Kimi Raikkonen (6.2 per cent) - though unless Alfa Romeo has built a beast of a car, Kimi’s percentage is set to plummet even further. 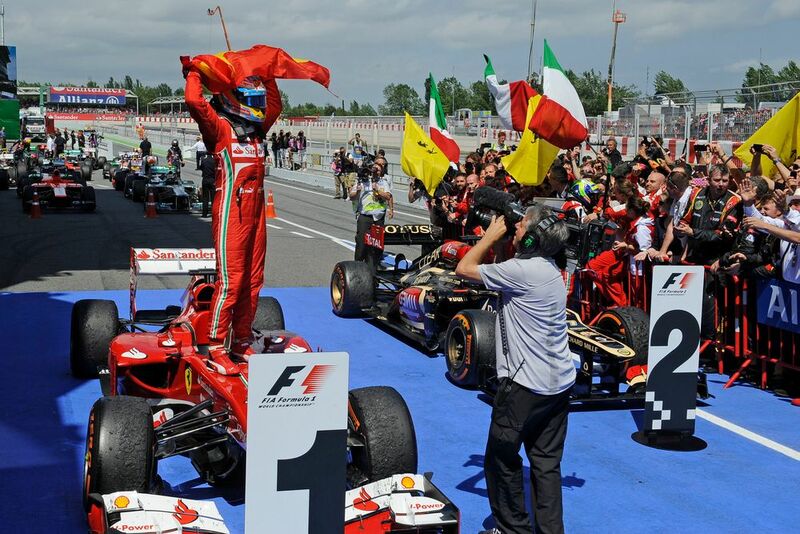 Although not always being in especially competitive cars hurts Alonso’s percentages in terms of wins and pole positions, his consistency and tenacity mean that in terms of podiums, Fernando’s numbers were actually very impressive. At the end of 2014, he’d taken home a trophy from 41.1 per cent of all of his races, just behind Jim Clark (44.4 per cent) and Jackie Stewart (43.4 per cent). For context, at the end of 2018, Lewis Hamilton is on 58.5 per cent, Sebastian Vettel on 50.7 per cent, and Michael Schumacher on 50.5 per cent. After four podium-less seasons with McLaren however, that’s dropped to a mere 31.1 per cent, just behind the likes of Hakkinen, Lauda, and Nigel Mansell. Of all the stats, this is the one where Alonso perhaps comes off the best, because by he’s still ahead of some fairly big names such as Jody Scheckter (29.5 per cent), Nelson Piquet (29.4 per cent) and Jenson Button, who has the surprisingly low number of 16.3 per cent. Even Nico Rosberg, whose entire career statistics were heavily boosted by three seasons at a dominant Mercedes is ‘only’ at 27.7 per cent. Unlike the first three categories, Fernando was actually able to add to his tally of fastest laps during his final years with McLaren. At the end of 2014 he had 21 fastest laps, an 8.9 per cent strike rate. That’s actually rather low already, putting him just ahead of Webber (8.8 per cent), but although Fernando managed to add two more fastest laps in his career (at Monza in 2016 and Hungary in 2017), his final percentage dropped even further, to just 7.4 per cent. In comparison to wins, poles, and podiums, fastest laps is actually a rather meaningless statistic. It’s easily skewed by the rules of the time - in the refuelling era it would often go to the driver in the cleanest air with the lightest fuel load, whereas in the current rules pretty much anyone can bolt on a fresh set of soft tyres near the end of the race and claim the fastest lap. For instance, Ayrton Senna only had 19 in his whole career, while Jenson Button took just eight. If it’s meaningless stats you like then total career points is your answer. With so many different points systems and seasons that are three times as long as they used to be, comparing drivers by the total number of points they scored is about as relevant as judging them by the number of hairs on their head - but we thought it’d be fun to include anyway. 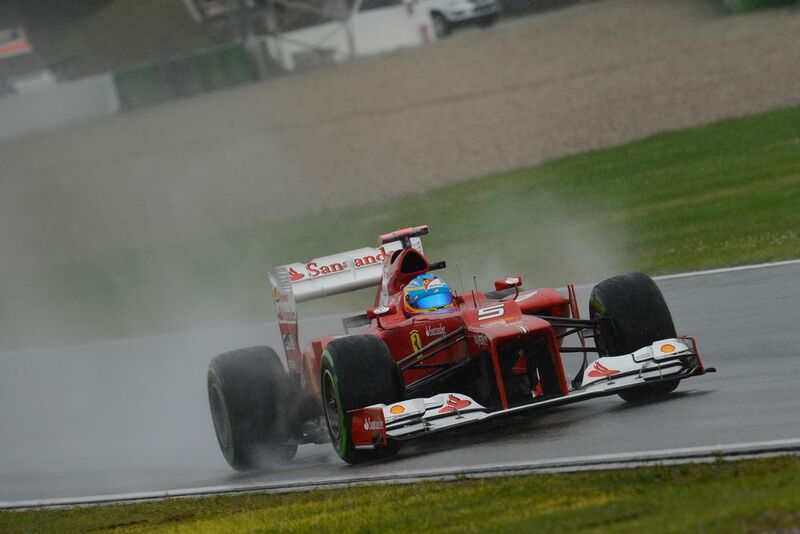 By the end of his Ferrari career, Alonso had 1767 points, which at that time actually made him the leading points scorer of all-time (as if that means anything). That translated into a scoring rate of 7.5 points per race, the third-highest of all-time - impressive, given that much of his career at that point was spent racing under the old 10-8-6-5-4-3-2-1 system. 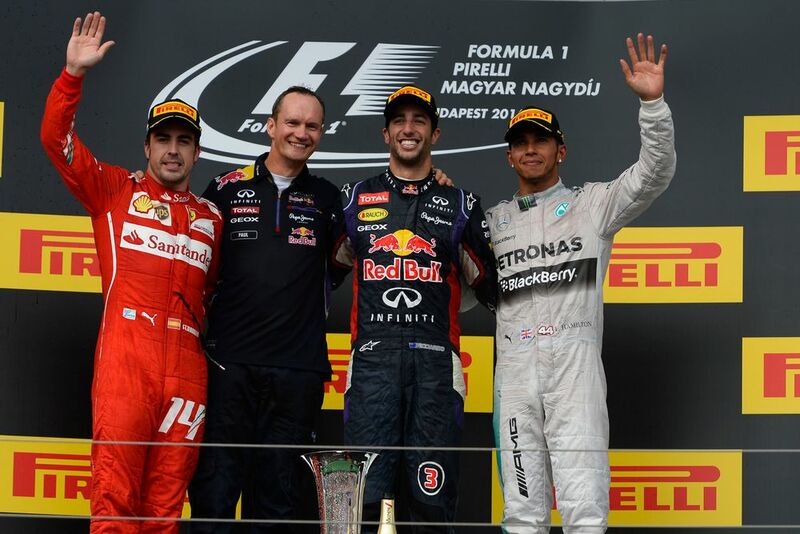 Vettel (11.6 points per race) and Hamilton (10 points per race) had higher scoring rates, but both also spent a far larger percentage of their career racing with the 25-for-a-win system. That’s because he managed to score just 132 points between 2015 and 2018 - or 1.7 points per race. To put that in perspective, in the same period, drivers like Kevin Magnussen, Charles Leclerc and Carlos Sainz have all had a higher scoring rate. Like the majority of statistics, on their own they don’t mean a whole lot. Alonso’s scoring rate doesn’t mean that he’s only as good as Magnussen, and the fact that percentage-wise he’s generally in the bottom half of world champions doesn’t mean that more than half of F1 champions are better than Alonso. Plus, as we’ve touched on before, even before his second McLaren stint he spent a lot of time in cars which weren’t especially competitive, which harmed his percentages. Generally speaking, all of these percentages are also largely dependent on era - the likes of Jim Clark, Alberto Ascari and Juan Manuel Fangio top most of these categories (and by a significant margin) because they spent less time reaching the top of the sport and didn’t really spend extended stretches of time driving uncompetitive cars. And because the cars of that era were generally quite simple they were also fairly reliable - certainly more so than the turbo cars of the 1980s in comparison. And even if a driver had a bad race or even a bad season, there was still a decent chance that they might grab a few poles, the odd podium or even a victory, simply because the margins were so much greater than they are now. 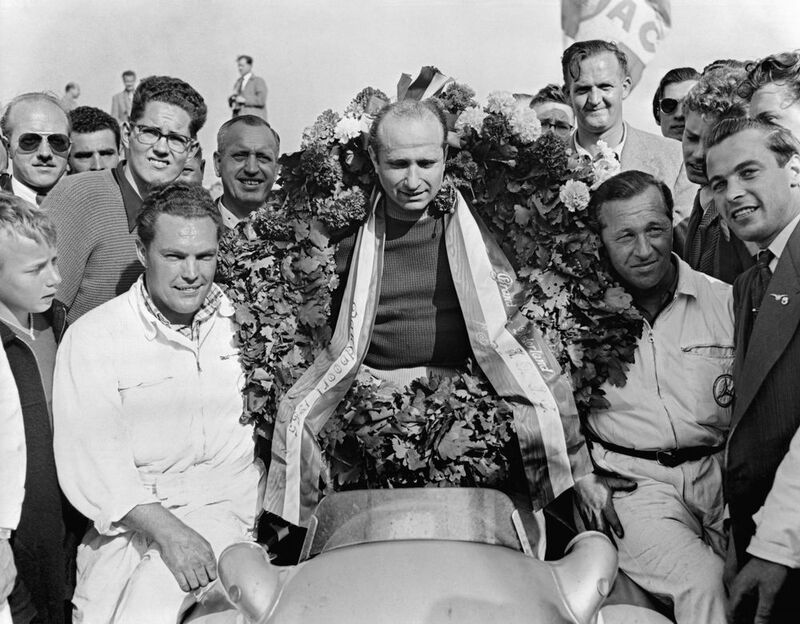 Attaining the numbers of the drivers of the 50s and 60s is incredibly difficult - even though Hamilton has spent the best part of five seasons in a dominant car, he’d need to win the next 68 races in a row to beat Fangio’s win ratio of 47 per cent. While the longer seasons and more reliable cars allow for a successful driver’s numbers to be ‘boosted’ more easily than 20 or 30 years ago and beyond, it also means that any time spent in uncompetitive cars will also tank those numbers.